Readers write to Gulf News about issues affecting them and their community. All eyes are glued to the elections that kicked off on April 7 in India, the world’s largest democracy. The entire world, including Pakistan and countries of the region, are closely monitoring the proceedings. As reported in national and international media, frontrunner for premiership Narendra Modi and his nationalists have had accusations levelled at them, of stoking religious tensions to win votes. Modi’s diatribe, particularly against Pakistan, has been inordinately venomous. His Pakistan-bashing spree that kicked off from the very first day of his election campaign has not been without malicious intent. The fact remains that Modi has never had any love lost for his country’s neighbour. I think he has consistently done all he can to ensure that the strained India-Pakistan relations do not get an opportunity to improve for the larger benefit of the people belonging to the two vital nuclear powers of the region. The Congress party is pinning its hopes on Rahul Gandhi, who has categorically said that if the BJP clinches power, majority Hindus would be pitted against minority Muslims. One couldn’t agree more with Gandhi when one looks at the track record of BJP, whose politics, as known to all and sundry, is based on ethnic and religious sensitivities, anger and division. Unambiguously, I believe it would be in the interest of Pakistan if Congress wins in the Indian polls, as it is considered to be a moderate party that has worked with a fair amount of sagacity with people of all faiths. Let us hope for the best and be prepared for the worst. Last week, I witnessed a horrendous sight during lunch time at a parking spot in Electra Street, Abu Dhabi. From experience, I have always had the belief that drivers on our roads are and always will tend to be careless towards the safety of themselves and other living beings. 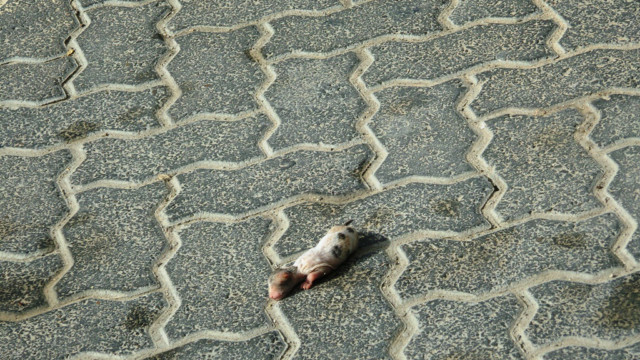 This was confirmed when I was leaving from an apartment and noticed blood and crushed body parts of some small animals. A closer look at the area really made me feel sad, as I found three kittens that had been run over and were breathing their last, thanks to a driver who had parked in the location, and then driven off, without any care. There was no one in the vicinity when I approached the kittens and I was having a hard time moving the two living felines out of danger by myself. By the time I brought a small supporting platform to lift one kitten and place it safely on the pavement, another driver came in a rush and ran over the remaining kitten! Convincing him to move his vehicle and taking the injured kitten to a suitable place and caretaker was not an easy task. I wish our drivers cared a bit more about their surroundings, and paid attention not only to the road but also the obstacles they might come across the whole time they are on the wheel. World Safety Day is on April 28. Let ‘Safety first’ be our motto - for all living beings. I’m writing to express concern over the issue of driving licenses in Dubai, as many individuals living here are suffering due to the huge amount of money they have to pay to clear their road test and finally get a drivers’ license. I have been taking driving classes from an institute in Dubai. After completion of 36 classes, I had an assessment, but did not clear it. Failing an assessment doesn’t bother me at all, but my evaluation sheet bothered me, as more than half the categories had received check marks, and despite that, I failed. Employed individuals get permission from their workplace to attend these tests, as they are scheduled during work hours. However, we seem to get improper feedback from these tests, instead of an opportunity to learn from our mistakes. If the point of the first assessment is to just tick off anything and still cause a person to fail, I urge driving institutes to please give us eight extra classes before the assessment, so we don’t have to pay twice for the test and seek permission from our employers to attend. I agree we need more practice to be safe drivers, but this doesn’t have to entail failing because of false reasons. We require correct feedback as this only would help learners to know our faults and improve. It pains me to see a lack of civic sense in people these days. Littering on the roads, bylanes, pavements and beaches has become a common scene. It is an eyesore to see bits of paper, empty cans, plastic glasses and other litter strewn everywhere. Littering poses several health hazards and can cause accidents too. If the offenders are dealt with sternly, it will prove a deterrent to others. The government is trying its best to keep the cities pristine. It is the foremost duty of every citizen and resident to keep their city and surroundings clean. It will help in keeping environmental pollution at bay. If every one of us contributes our bit towards maintaining cleanliness, it will be a huge step towards saving the Earth. Teaching and learning is undergoing a drastic digital revolution. A wide range of innovative techniques are spreading from schools to colleges, in order to support students, parents and all educators. Learning by rote has been transformed into a process of understanding, analysing and developing skills to suit the needs of the 21st century. Digital devices have been highly instrumental in taking stock of any branch of knowledge. As a teacher/academician for the past ten years in Dubai, I have no disagreement regarding all these points. When a teacher enters a classroom, the student’s response is very important. To get the best response, so many factors apply, such as attitude, behaviour, knowledge, presentation, involvement and influence. Living in a high-tech, rapidly changing society, are we losing anything? What about respect, politeness, cultural identity or cultural synchronisation? It is an ongoing conundrum. Editors’ note: Is there a news report that you feel strongly about? Something that has to be addressed in the community and requires resolution? Email us on readers@ gulfnews.com. You can also post a comment on our Facebook page.